We service and sell Audiometers, Impedance Systems (Tympanometers), Otoacoustic Emissions (OAE), ABR, ENG/VNG, Sound Rooms, Hearing Aid Analyzers, Real Ear Systems and Breath Alcohol Testers to customers located in the States of Iowa, Minnesota, Nebraska, North Dakota, and South Dakota. To purchase products, visit our online store. Audiology, Occupational Health, Pediatric, and more. 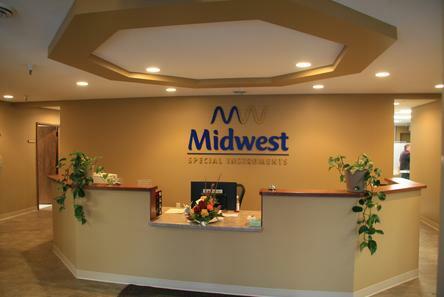 At Midwest Special Instruments Corp, our customers and manufacturer relationships are developed for a lifetime. Our family of employees will make your staff's needs our priority. We promise to deliver high quality service and the product knowledge you need when purchasing equipment for your practice. We service and sell Audiometers, Impedance Systems (Tympanometers), Otoacoustic Emissions (OAE), ABR, ENG/VNG, Sound Rooms, Hearing Aid Analyzers, Real Ear Systems and Breath Alcohol Testers to customers located in the States of Iowa, Minnesota, Nebraska, North Dakota, and South Dakota. Our Owner and President, Matt Williams has been working for Midwest Special Instruments and its predecessor Company since 1985. Our fully trained NASED certified service team has over 67 years of experience and our on-line store has all of the supplies and instrument parts that you will need to run your practice. 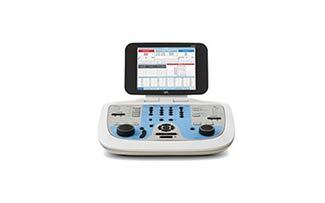 The New GSI Pello™ is a perfect solution when precise and efficient diagnostic audiometry is required. The Pello is a stand-alone PC enabled mid-level audiometer that can be customized to meet your needs now and as your practice grows. The Pello has four testing configurations that can be mixed and matched; Standard, Speech Plus, High Frequency, and Special Tests. The NEW clinical GSI TympStar Pro offers a comprehensive range of middle ear testing capabilities that support the needs of hearing healthcare professionals. GSI is known for providing reliable and efficient clinical middle ear solutions to the market. Replacing the world’s leading tympanometer (GSI TympStar), the new TympStar Pro offers comprehensive clinical options with an intuitive user interface. 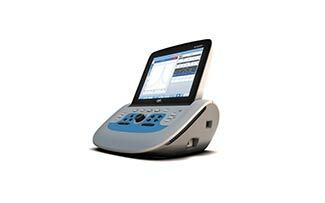 The TympStar Pro continues to set the clinical standard in the industry for middle ear analyzers. 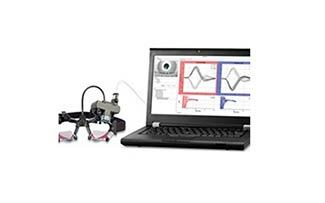 Features: ~~The EyeSeeCam vHIT provides quick and objective measurements of the vestibular-ocular reflex (VOR). A simple tool to assess the performance of all 6 semicircular canals. The results allow the healthcare professional to efficiently diagnose the “dizzy” patient and evaluate if the dizziness is related to a vestibular disorder. Midwest Special Instruments is proud to introduce you to the best Service Team in the country! Matt Warburton operates out of the Omaha office. Tom Fuerstenberg, Jason McKenna, Chris Oleson, Leo Boguslawski , Bryant Baker , Jim Malaske , Derek Schleicher and Jake Gittus operate out of the Savage office. Our fully trained NASED service team has over 67 years of experience and our on-line store has all of the supplies and instrument parts that you will need to run your practice. Looking to purchase products? Shop at our online store.